I’m sitting in Narita airport in Tokyo, reading an article in the Herald Tribune entitled “Role reversal for a Japan struggling to rebuild”. It quotes a mayor of an industrial city near the Fukushima nuclear plant who, unsuccessful in getting Japanese companies to invest in his city, is courting Chinese business to set up factories in his precinct to help it grow: “we’ve come the point in Japan where we can no longer grow without outside help” he says. The one year anniversary of the earthquake, tsunami and nuclear drama in Fukushima is on March 11 (or “311” as some Japanese people call it). Surprisingly perhaps, the domestic tragedy has also had consequences for the way Japan sees international development and overseas aid. 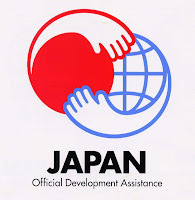 In the wake of the disasters, Japan was helped by countries that it had been helping through its international development programmes such as Bangladesh, Nepal and Vietnam. As a result of 311, all of a sudden Japan knew what it was like to receive assistance from overseas in times of distress. Views on official development assistance (ODA) as charity were newly seen as reciprocity and then turned into a kind of solidarity. Has the need to rebuild domestically mean fewer resources for overseas aid? Yes and no are the answers I heard from the people I met this past week—obviously there are more calls on the budget for national projects, but there is also a realisation of how important aid can be to other countries, and how important it is for building up goodwill towards Japan in the region and beyond. I had been in Tokyo for 5 days, giving 5 presentations on 4 different topics to staff and students at the Institute of Developing Economies (one of Japan’s oldest, largest and best development research institutions and who graciously hosted and took care of me), at the JICA Research Institute (a small but influential new institute within the Japan International Cooperation Agency, JICA, to help bridge the worlds of policy, practice and research) and at JETRO, the Japan External Trade Organisation. I also met some of the staff at GRIPS, a new graduate university for public policy. And to finish the trip we had a reception with all the Tokyo based IDS alumni which was excellent. I was very impressed with the level of policy knowledge and technical skill of the different policymakers, research staff and students that I met. But there are signs that Japan is quietly raising its visibility and influence. The establishment of the JICA Research Institute is one example, and there are others such as the increased funding and influence over World Bank Development Reports, plans to engage more closely with UNDP on the Human Development report and--as one of the recent IDS Alumni who works in JICA told me--JICA’s recent first time engagement with development activity in Somalia. This rising profile of JICA is welcome as it can be more of a resource for new donors in the region—China, Korea, Indonesia—to help them become familiar with how traditional donors behave. JICA can also help the formation of South East Asian donor alliances to challenge Western thinking and ideas on aid. It is good that Japan is seeing its aid programme in a new light and that the rest of us are seeing Japanese ODA emerge in new arenas. It is also very positive that the ambition of Japanese aid is rising, but at 0.2% of GNI (about the same as the USA) it would be even better if the level of ODA funding was also on the rise.